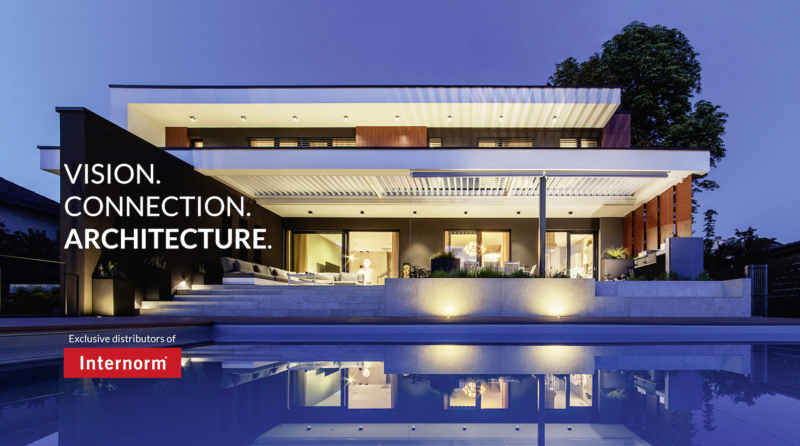 At NeuFenster, we are focused on providing high-performance and energy-efficient building solutions to improve not only the overall construction of your home, but every homeowner’s quality of living. With over 25 years of experience in the door and window industry, we were always on the lookout for innovative products that will satisfy our clients’ growing demand for energy-saving windows and modern designs. North America’s adherence to higher energy standards over recent years propelled our search for better performing systems. In 2014, we were first introduced to the triple-glazed European window and door technology. Once we discovered the great disparity between the performance of European and North American window systems, our decision to introduce European products was clear. We carry the complete line of Internorm® triple-glazed and insulated windows, Passive House Certified windows, proper entrance doors, side-entrance doors, as well as lift-and-slide doors. Our products are suitable for residential and commercial projects as well. North American standard door and window systems have significantly lower R ratings, pane depth, and U values. In sub-zero conditions, a standard glass pane cannot retain enough heat to keep the home’s perimeter at a stable temperature. As a result, condensation occurs and heat is lost. On the other hand, European window and door systems are unparalleled in terms of their quality and durability, due to housing innovations and strict energy standards that are yet to be seen in North America. Internorm® products can maintain an 18 ℃ glass temperature during a – 30 ℃ winter day. Internorm is the pioneer of triple glazing and triple gasket systems since 1979. Windows and doors are an important investment in your home. Make an informed decision about the appropriate materials and level of insulation required for your home. The design and performance will make you appreciate your choice of a true quality product. Today, we are the exclusive distributors of Internorm® Windows and Doors throughout Canada and various cities in the United States. Our bilingual and knowledgeable staff is fully trained to provide complete estimates for your project within 48 hours. Certified Internorm® distribution partners need to fulfill 12 defined customer care standards. These are being assessed on an on-going basis with our customers and further improved upon thanks to our customer feedback. We are actively seeking new partnerships as we expand our services across Canada. Join us and become an Internorm dealer in Canada today!